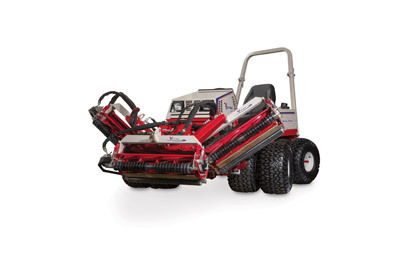 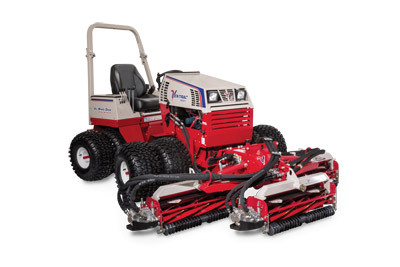 The Ventrac MR740 Triplex Reel Mower is designed to be the ultimate trim and surround mower. 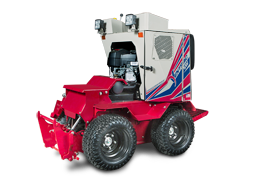 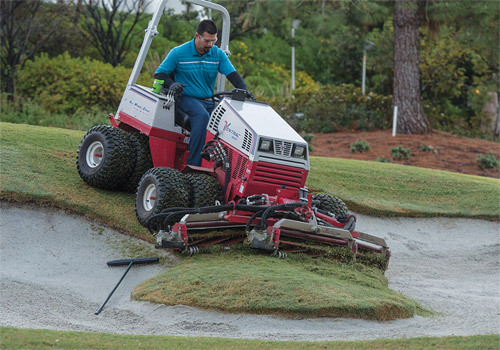 With a 74" width of cut, variable speed hydraulics, standard back lapping valves, and offset capability, the Ventrac MR740 includes many features to ensure superior, low-maintenance powered by the all-wheel performance. When powered by the all-wheel drive Ventrac 4500 tractor with dual wheels, the MR740 can be operated on hills and slopes up to 30 degrees -- allowing you to go where no other reel mower can go. 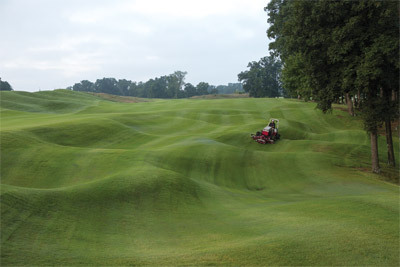 You will be amazed at the time and labor you'll save, and the beauty you'll leave behind. With the industry's best 30-degree slope rating, you can confidently take reels to difficult places greatly reducing walk behind mowing. 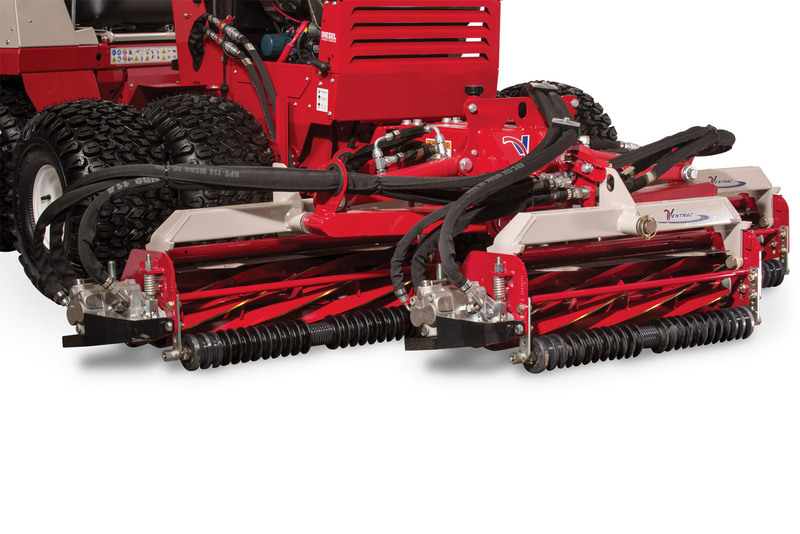 These heavy duty reels are built to last. You will be amazed by the superior cutting edge retention and life of the bed-knife and reels. The reels can be offset right and left of center to allow for better trimming around tight turns, and to position the tractor farther from hazards such as water or bunkers for increased safety. 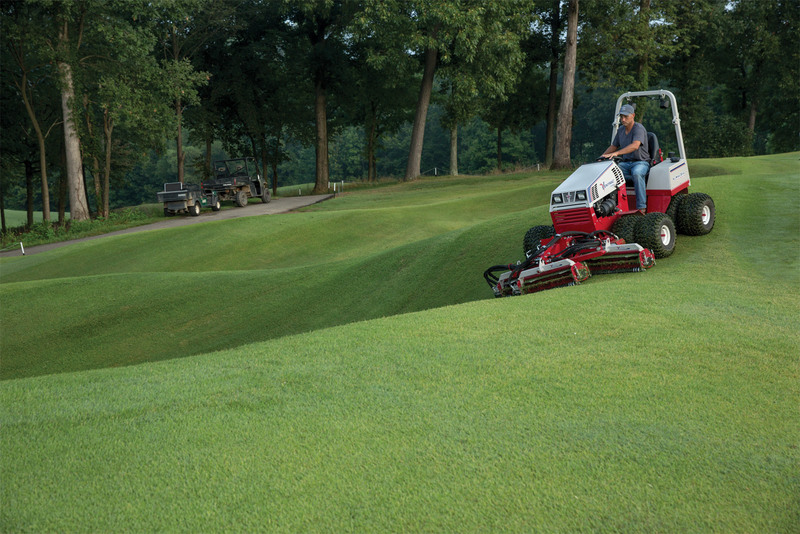 Adjust reel speed to match your conditions. 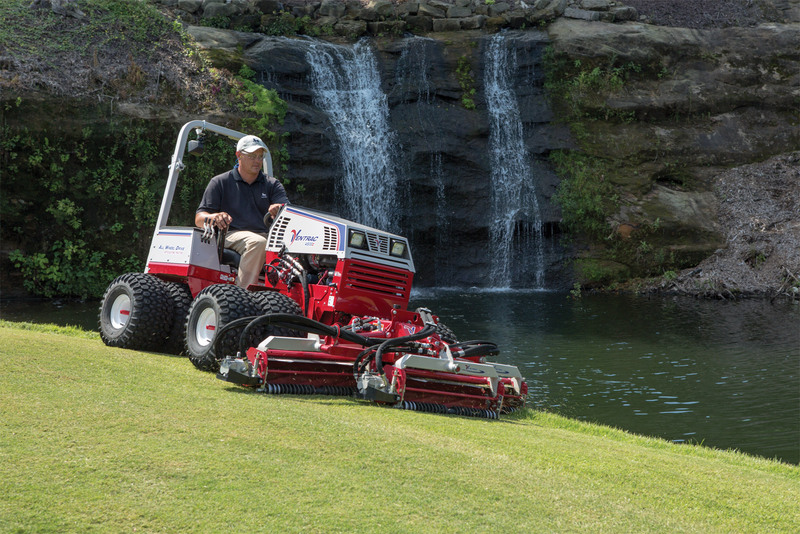 Variable speed motors also feature a bypass allowing you to run just one to two reels at a time should you have narrower trim areas or need to cut surrounds. 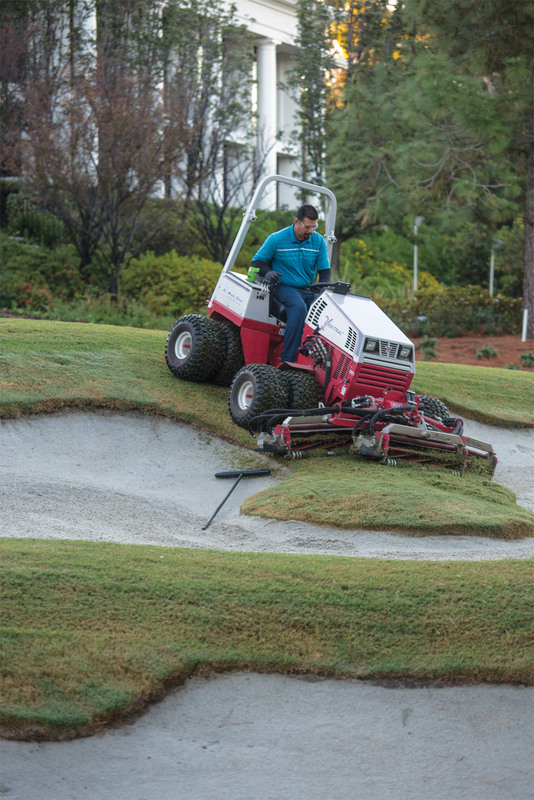 The steep slopes and difficult terrains made Ventrac the ideal tractor for this course. 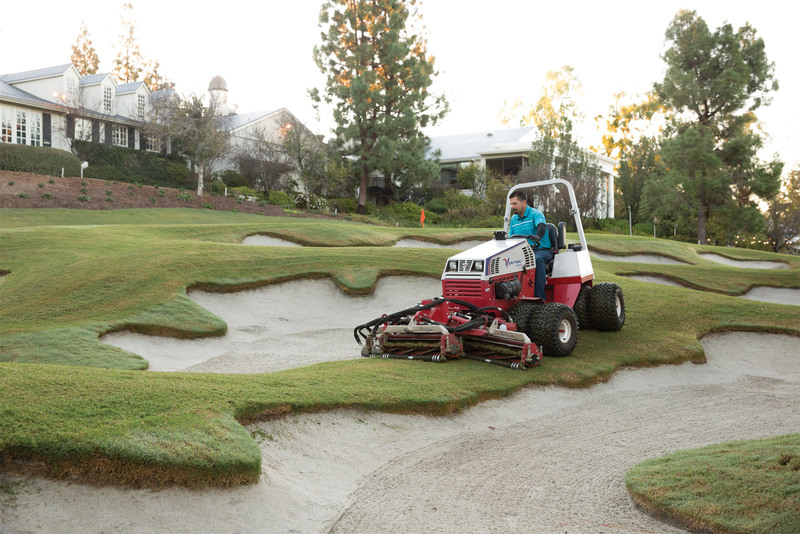 Introduction to Ventrac's complete golf course management package. Superintendent Mark Smith describes a 60% to 70% reduction in hand mowing and trimming needs with the Ventrac's ability to mow steep grades and around bunkers and tee boxes without scalping. 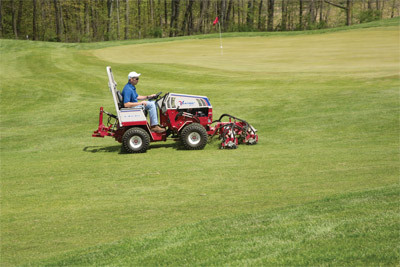 Hawk's Nest Golf Course is owned and Operated by Ohio State University Agricultural Technical Institute (ATI). 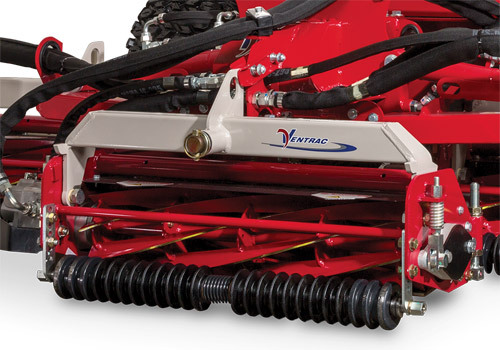 Enlarge Picture / Press Link · Ventrac MR740 Reel Mower Closeup - The Ventrac MR740 Triplex Reel Mower is designed to be the ultimate trim and surround mower. 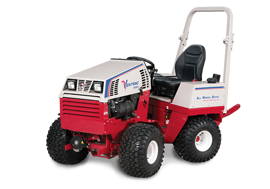 With a 74" width of cut, variable speed hydraulics, standard back lapping valves, and offset capability, the Ventrac MR740 includes many features to ensure superior, low-maintenance powered by the all-wheel performance. 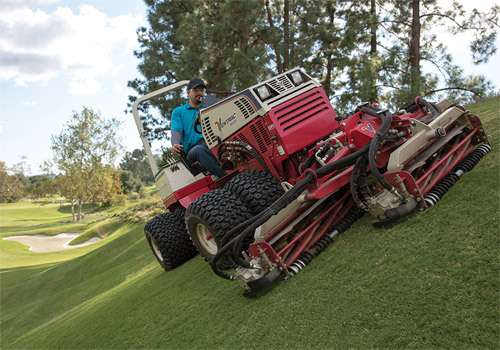 Enlarge Picture / Press Link · Ventrac MR740 Reel Mower on 4500Y - When powered by the all-wheel drive Ventrac 4500 tractor with dual wheels, the MR740 can be operated on hills and slopes up to 30 degrees -- allowing you to go where no other reel mower can go. You will be amazed at the time and labor you'll save, and the beauty you'll leave behind. Enlarge Picture / Press Link · Ventrac MR740 Reel Mower with Sides Lifted - The reels can be offset right and left of center to allow for better trimming around tight turns, and to position the tractor farther from hazards such as water or bunkers for increased safety. 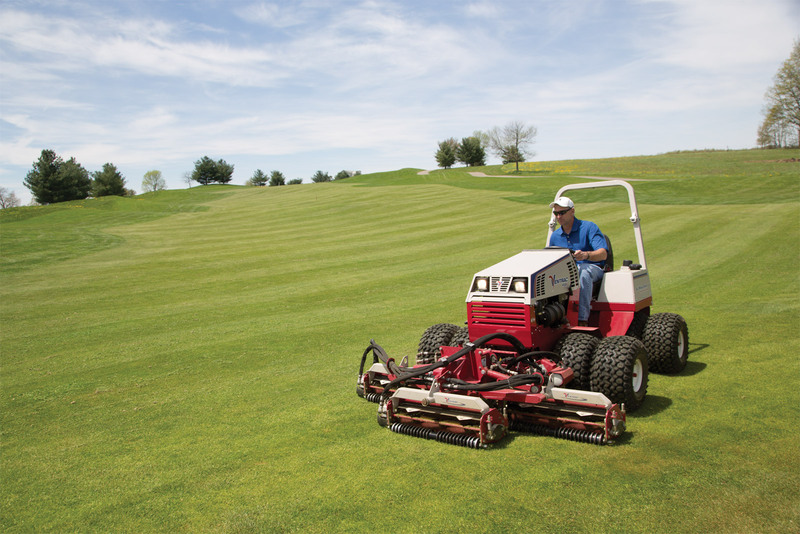 Enlarge Picture / Press Link · Ventrac 4500 with Reel Mower Finish Mowing Golf Course - Shown with optional dual wheels the AWD 4500 can maneuver more places and, together with the front-mounted Reel Mower, can reduce the amount of hand work needed to maintain professional turf areas. 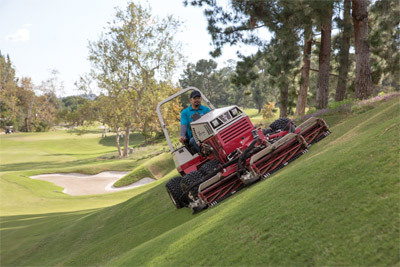 Enlarge Picture / Press Link · Ventrac 4500 Precision Mowing with the MJ740 - Professional striping and precise cut even on rolling hills and uneven terrain. 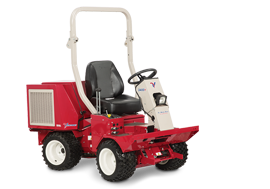 Enlarge Picture / Press Link · Ventrac 4500P with Dual Wheels Slope Mowing with MJ740 - The Ventrac 4500P with optional dual wheels can operate continuously on slopes of 30 degrees even while using the precise cut of the Reel Mower. 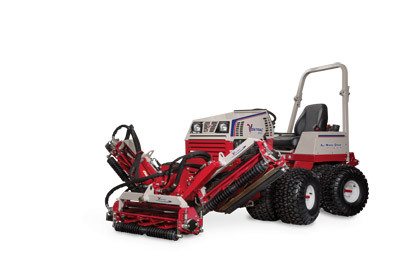 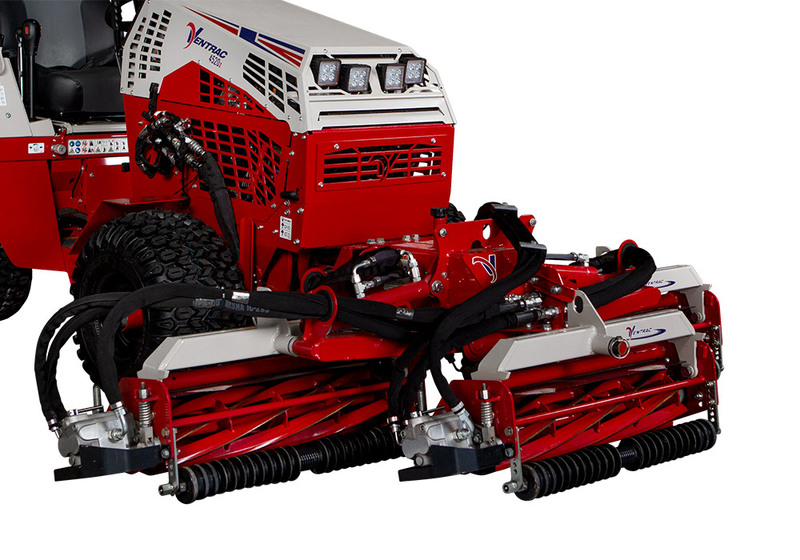 Enlarge Picture / Press Link · Ventrac 4500 with Optional Dual Wheels using Reel Mower - The Ventrac MR740 Triplex Reel Mower is designed to be the ultimate trim and surround mower with a 74" width of cut, variable speed hydraulics, standard back lapping valves, and offset capability. Enlarge Picture / Press Link · Ventrac 4500 with MJ740 Reel Mower Finish Decks - Shown here with optional 3-point kit installed. 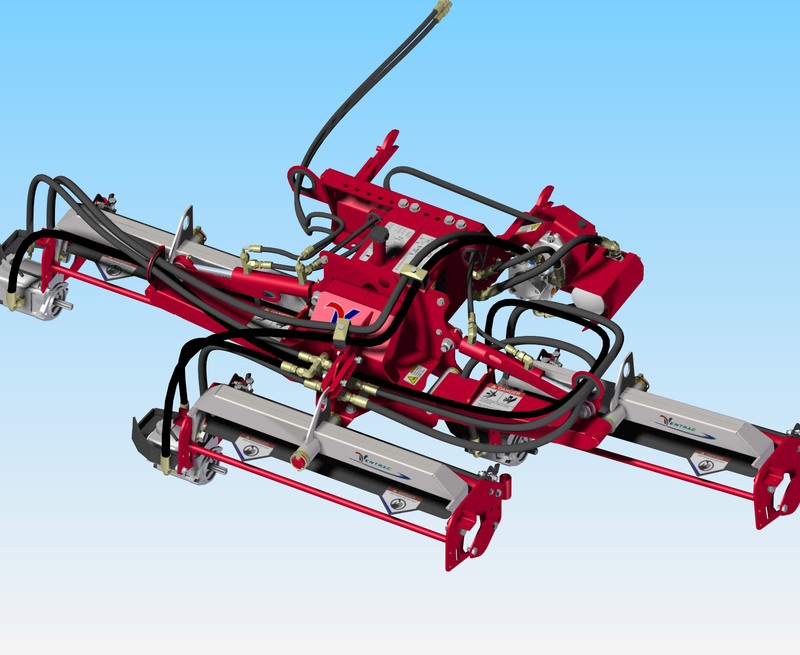 Enlarge Picture / Press Link · Ventrac MR740 Reel Mower Diagram Top - Overhead view of the intricate details of the MJ740 Reel Mower. Enlarge Picture / Press Link · Ventrac MR740 Reel Mower Diagram Profile - Closeup view of the inter-workings of the floating decks of the MJ740 Mower. 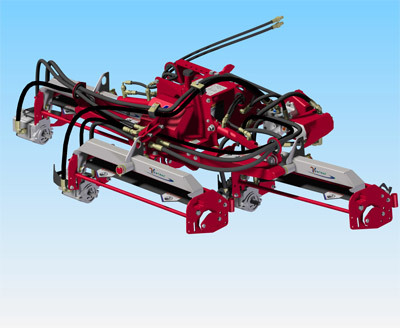 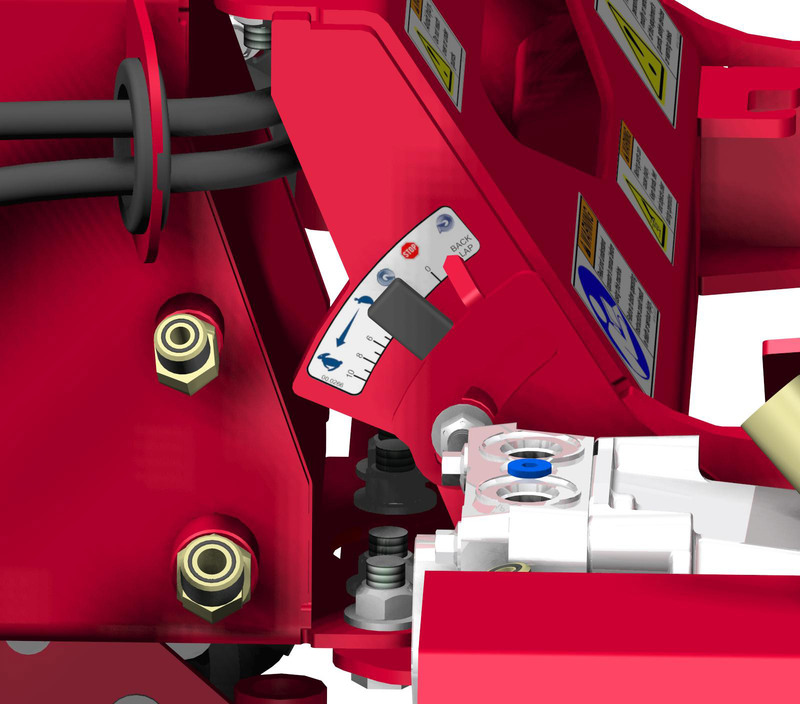 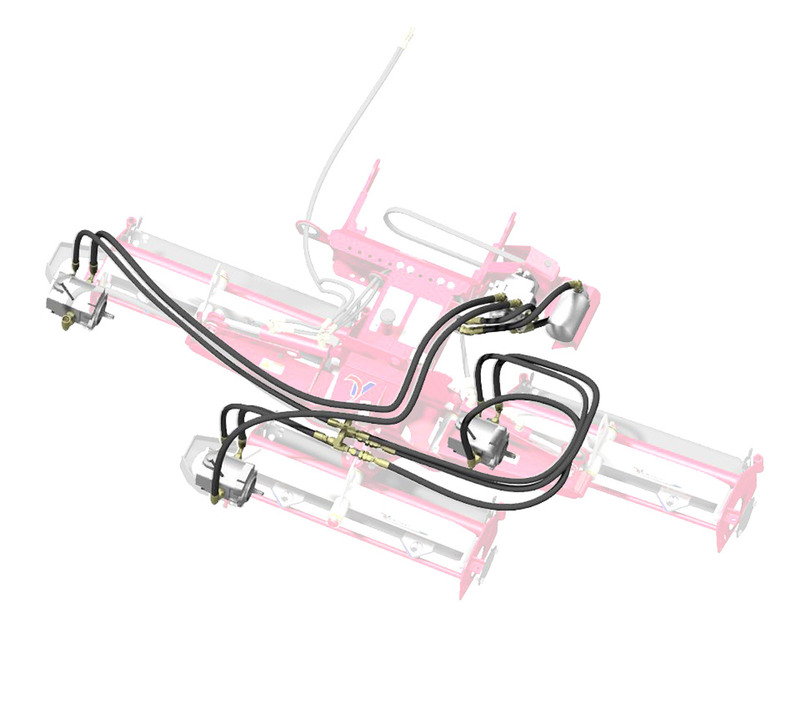 Enlarge Picture / Press Link · Ventrac MR740 Reel Mower Diagram Hose Layout - Highlight of the configuration of the hydraulic hoses for the MJ740 Mower. 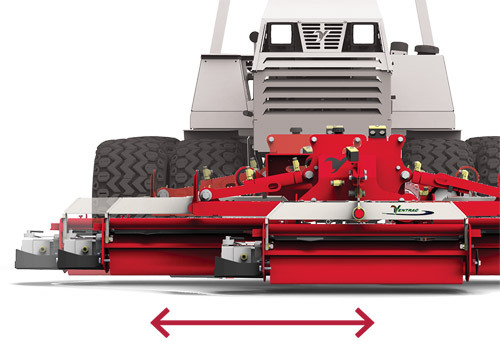 Enlarge Picture / Press Link · Closeup diagram of MR740 Reel Mower Speed Adjust - Adjust reel speed to match your conditions. Variable speed motors also feature a bypass allowing you to run just one to two reels at a time should you have narrower trim areas or need to cut surrounds. 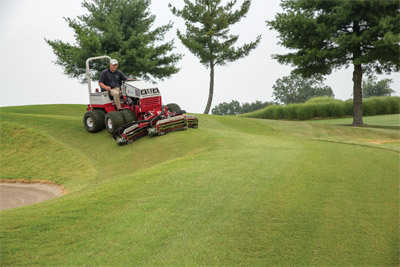 Enlarge Picture / Press Link · Ventrac MR740 Reel Mower raised to full height - When powered by the all-wheel drive Ventrac 4500 tractor with dual wheels, the MR740 can be operated on hills and slopes up to 30 degrees -- allowing you to go where no other reel mower can go. Enlarge Picture / Press Link · Ventrac 4500 Splitting Sand Bunkers with the Reel Mower - Golf course maintenance is much more simplified and precise with the Ventrac 4500 and the Reel Mower.